Monday 7th October: Meeting with schools Liaisons/Leaders. Friday 24th October: Submission of application forms by students to school chaplains /teachers. Mon 4th – Fri 22nd Nov: Student interviews. 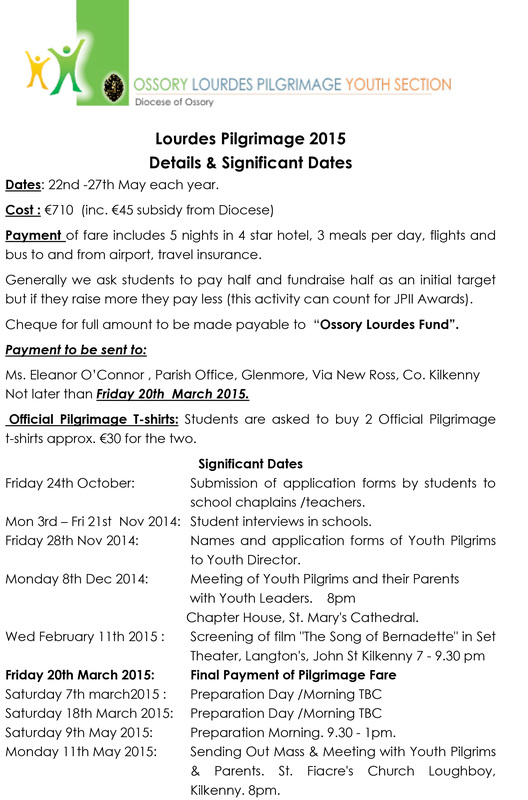 Friday 29th November: Names and details of Youth Pilgrims to Youth Director. Monday 12th May: Sending Out Mass & Meeting with Youth Pilgrims & Parents.